Because of how simple they are to install and how inexpensive they are when compared to a traditional steam sauna, an infrared variety can be the solution if you’re ready for uninterrupted home sauna sessions. These infrared saunas can be run using very little electricity, so they’re not going to punish your electric bill if you use them frequently. There are also all manner of health benefits from a sauna infrared, and we’re going to take a moment to talk about a couple of them right now. If you are one of those individuals who is bothered by poor circulation, you know that it can be an inconvenience. It manifests itself for some people with cold feet and hands, even in the height of summer. For these people, when they touch their partner or a loved one, it never fails to elicit a yelp, since these people’s hands are like ice. They are aware of it themselves, but the people that they make skin-to-skin contact with it feel it so much more. Time in an infrared sauna can be a solution for people with poor circulation. The sauna raises your core temperature, and it causes blood to flow to the extremities that usually are deprived of it. When they get out of the sauna, and they reach out to take the hand of a loved one, that reaching hand will be nice and warm. It’s wonderful both for the person who is having the sauna sessions and for their families. For those people who have chronic fatigue syndrome, it can be difficult to describe to someone just how it feels. Some people have spoken about it as though no amount of sleep is sufficient to allow them to feel well rested. The individuals who have been diagnosed with it might go to bed earlier, or they might resort to taking naps during the day, which is detrimental to their work schedules. They might even be prescribed drugs which are supposed to get them back on track, but these drugs often come with side effects. What are these people to do? For some of them, an infrared sauna may be the answer. Time spent in an infrared sauna makes people with chronic fatigue syndrome feel energized as nothing else does. It has been theorized this is because the rays that bombard the human body when it is in an infrared sauna are the same as those from the sun, and we need them to feel focused and to be at our peak potential. There is not a cure for chronic fatigue syndrome, per se, but it is much more manageable when you have an infrared sauna waiting for you at home. You’re likely convinced now to give an infrared sauna a try. 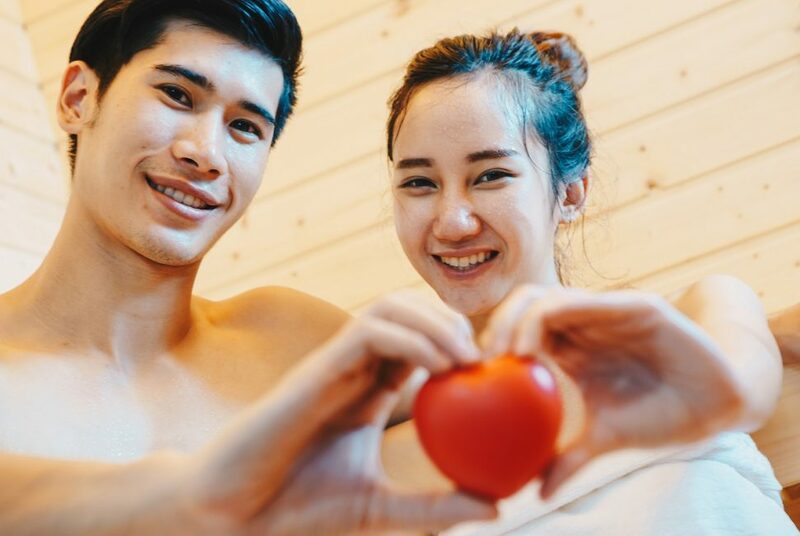 You can own one for a minimal financial outlay, at least as compared to a health club membership where you would have access to a traditional sauna. This way, you can have peaceful, uninterrupted sauna sessions at home, and you can enjoy the full benefits from them. Is the Infrared Sauna as Beneficial as People Say? Copyright © 2018 Sauna Information. All rights reserved.